2 Comments on "ALMA Opens a New Window to the Distant Universe, Reveals ‘Whirlpool’ Movement"
So they’ve detected the same swirling pattern in galaxies over 13Bn light years ago. Yet another nail in big Bang’s coffin… despite the insistence on repeating the myth. 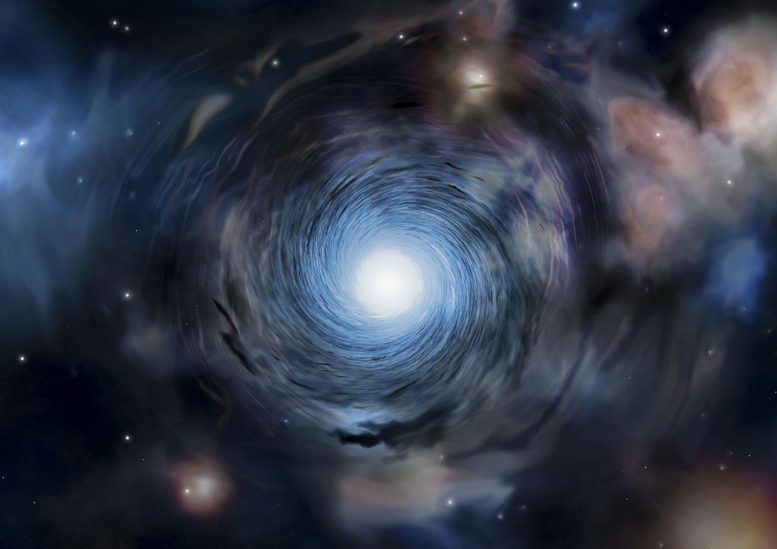 The observation of whirlpools is significant, but the message about “distant” galaxies is just propaganda. Not all “distant” galaxies are young looking. They are cherry picking the data to support their narrative of a big bang. The evidence shows that new galaxies and old galaxies are dispersed homogeneously throughout the Universe.